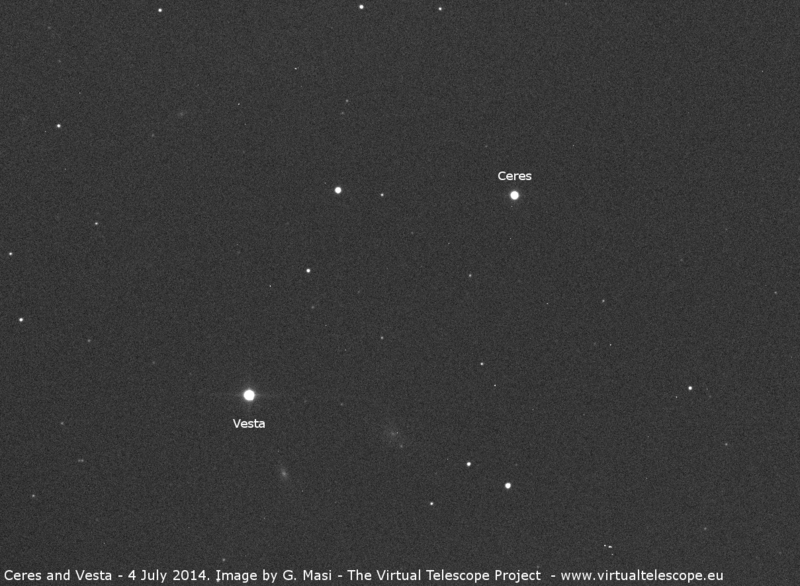 While Ceres and Vesta prepare their closest conjunction. at Virtual Telescope we imaged this unusual couple again. Above is an image showing the dwarf planet Ceres and the asteroid Vesta less than 12 arcminutes apart, with Vesta being clearly brighter than the other. The image above was remotely taken with the 17″ robotic unit part of the Virtual Telescope. There also appears to be two distant galaxies to the lower right of Vesta. Do you know what designation, if any, they have? Great image! I appreciate the work you do.